I'll be ChiILin' with Chi, IL's American Blues Theater for the press opening of Flyin' West on October 11th. I'm looking forward to hearing more stories from this seldom visited slice of American history. Check back soon for my full review. American Blues Theater announces the cast for its 2018-2019 season opener, Flyin’ West, written by Pearl Cleage and directed by Artistic Affiliate Chuck Smith. Flyin’ West features Sydney Charles (Fannie Dove), Wardell Julius Clark (Frank Charles), Tiffany Renee Johnson (Minnie Dove Charles), Joslyn Jones (Miss Leah), Tiffany Oglesby (Sophie Washington) and Henri Watkins (Wil Parish). The creative team includes Grant Sabin* (Scenic), Lily Grace Walls (Costumes), Jared Gooding* (Lighting), Ricks Sims* (Sound), Kevin Rolfs (Props), and Shandee Vaughan* (Production Manager). 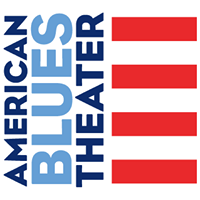 *American Blues Theater Artistic Affiliates. Flyin’ West runs October 5 – November 3, 2018 at Stage 773, 1225 W. Belmont Ave. in Chicago. Tickets are on sale and can be purchased at www.AmericanBluesTheater.com and box office, 773.654.3103. Following the end of the Civil War, many former slaves took advantage of The Homestead Act and went West to build new lives for themselves and their families. Many of these homesteaders were black women who overcame tremendous odds to work their own land and make a place for themselves in an often harsh and forbidding environment. Set in 1898, Flyin’ West is the story of some of these African-American female pioneers who settled, together, in the all-black town of Nicodemus, Kansas. Creative Team: Grant Sabin (Scenic), Lily Grace Walls (Costumes), Jared Gooding (Lighting), Ricks Sims (Sound) and Kevin Rolfs (Props). Shandee Vaughan is the Production Manager). Press Opening: Thursday, October 11, 2018 at 7:30 p.m.
Open Captioned performance, Sunday, October 21 at 2:30 p.m. Box Office: Buy online at AmericanBluesTheater.com or by calling 773.654.3103. The diverse and multi-generational artists have established the second-oldest professional Equity Ensemble theater in Chicago. The 33-member Ensemble has 600+ combined years of collaboration on stage. As of 2018, the theater and artists received 195 Joseph Jefferson Awards and nominations that celebrate excellence in Chicago theater and over 35 Black Theatre Alliance Awards. The artists are honored with Pulitzer Prize nominations, Academy Awards, Golden Globe Awards, Emmy Awards and numerous other accolades.